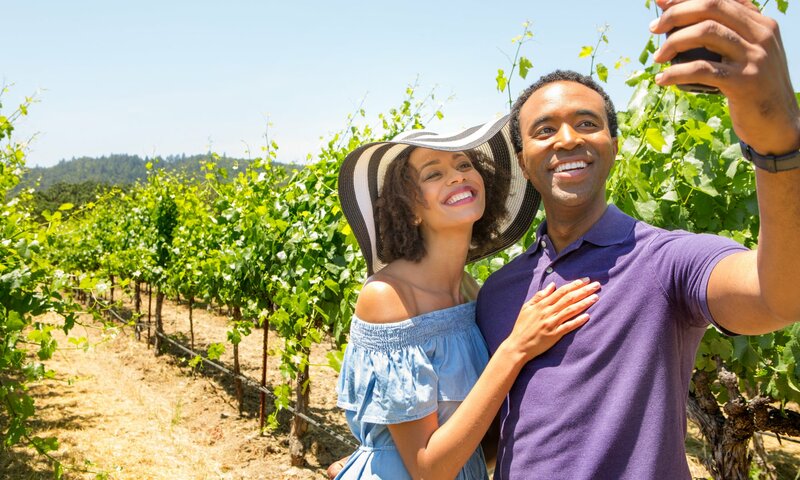 You’ve packed your bags for an unforgettable visit to wine country, but, where do you begin? Here are five of our favorite, and most impressive, tasting rooms in Napa Valley. Go behind the scenes for a private tour of Napa Valley’s oldest winery—Charles Krug Winery—and try a sampling in California’s first tasting room. Recently renovated by famed architect Howard Backen, the room evokes a combination of rustic and modern. The high, open-beam ceiling and giant windows give off a larger-than-life feeling and yet it’s also perfect for an intimate group tasting. If you’re looking for “wow!” factor, you’re looking for the Crystal Cellar at Raymond Vineyards. The stainless-steel tanks, mirrors, and sparkling crystal make for a luxurious venue to taste some of Raymond Vineyard’s exquisite wines. No visit to Napa Valley is complete without a day trip to Grgich Hills—home to one of the greatest winemakers in the world, Mike Grgich. Sneak a peek behind the scenes and enjoy a taste of a Grgich’s famed wines with a guided tour and tasting. In the main tasting room, you're surrounded by the aromas of Grgich's many wines mixed with the sweet smells of the oak barrels developing them to perfection. The tasting room at Castello di Amorosa is like no other. Stand before the hand-painted Italian frescoes and lose yourself in the mysterious underground caves and authentic medieval castle chambers . The wine tasting itself is only heightened by the enchanting views of this Tuscan-inspired escape. Today’s forecast: 99% Chance of bubbles. ? Last, but certainly not least is Domaine Chandon. A known pioneer of California sparkling wine, this is one of the most stunning locations to visit in Napa Valley. Sip sparkling wines surrounded by exquisite architecture and beautiful Napa views. Domaine Chandon’s spacious tasting room is in the vineyard’s upper level and leads out to a lovely patio area with plenty of areas to relax and take in the view before you re-visit the tasting bar to receive your next flight. Love this list, but, want more? At Napa Valley, these are just the tip of the wine glass. View our special offers and packages and book your tour today.